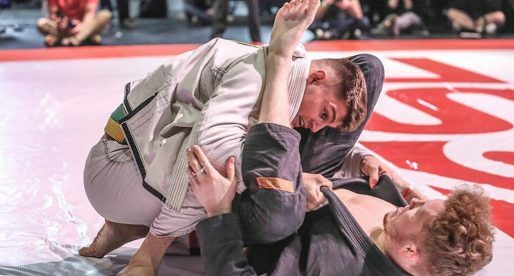 Vicente Júnior is a Brazilian jiu jitsu black belt under Ricardo De La Riva and co-founder of the BJJ Conquest grappling academy in Maryland – USA. 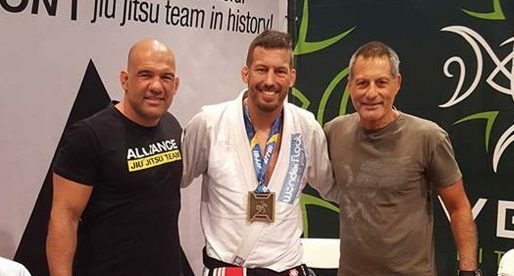 Vicente Júnior is also one of the most active competitors in the Master’s division, having conquered IBJJF Pan American titles in both gi and no-gi as well as a world no-gi title. Vicente Junior was born on July 21, 1977 in the Brazilian state of São Paulo, though he moved to the Northeast region of the country at the age of 13. His interest in martial arts came up after he watched the movie Bloodsport. From then on he became fascinated by combat, particularly kung fu. Failing to find the Chinese martial art near his area Vicente settled for judo, a contact sport Junior practised for 5 years. The story of how Junior came across BJJ is an interesting one. Vicente heard about jiu jitsu through a friend of a friend named Marcelo “Jornal”. Marcelo was a blue belt at the time and was in need of sparring partners as it was hard to receive regular BJJ instruction in their town. He introduced himself to Vicente and asked to visit Junior’s judo academy where he could at least keep applying his ground work. Vicente started noticing Jornal play with the judo black belts from his gym, tapping them almost at will on the ground. Junior became increasingly curious of Marcelo’s grappling style and at the age of 15-16 he started training and learning from Marcelo together with a few friends at Jornal’s home, on an improvised mat. These friendly group classes would end for Vicente after 1 year, once their school schedule became too intense for them to train. 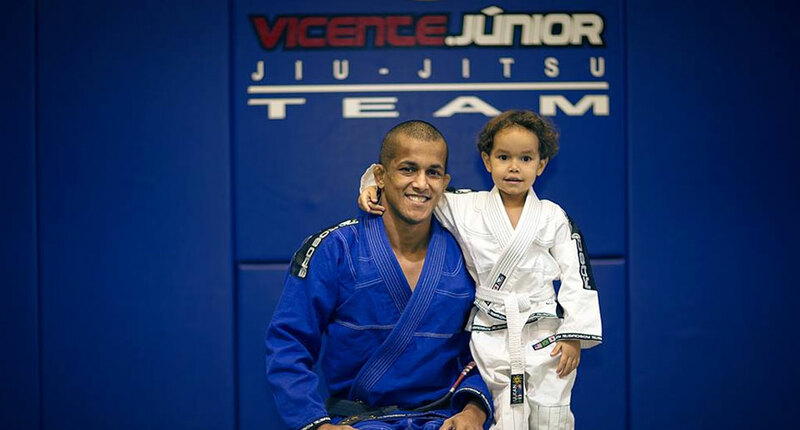 After one year away from the mats, Junior returned to jiu jitsu. This time he picked coach Diojone Farias, being graded with his blue and purple belt from Farias. 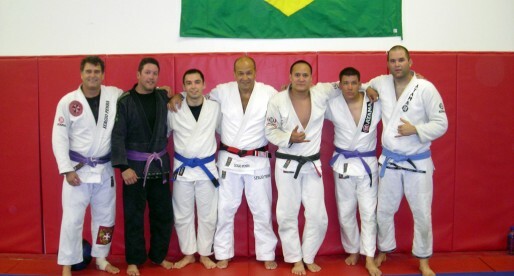 As a purple belt Vicente started travelling to Rio de Janeiro regularly, there training with Ricardo De La Riva. With time, and considering his relationship with Diojone had deteriorated over the years, he decided to commit to the DLR’s school, becoming a representative of the team and earning his brown and black belts from Master Ricardo. His black belt promotion occurring on July 2001. On April 2009 Vicente travelled to the United States to compete in the International Brazilian Jiu Jitsu Federation (IBJJF) New York International Open. While in the US Junior was invited to coach an academy in Delaware, which he accepted. 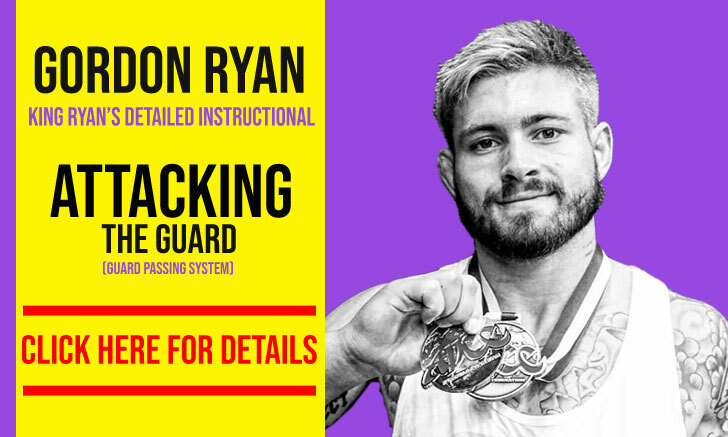 He remained in DE for 18 months, a time when he partnered with 3 other associated to launch BJJ Conquest in the neighbouring state of Maryland. Cover photo by John Meyer.